Nestled on a peaceful residential dead-end road and down a private tree-lined driveway is this beautifully maintained Ranch home. This charming home exudes warmth and character and is the perfect all-season retreat. Warm & inviting, great for entertaining featuring 4 large bedrooms with two master en-suites, kitchen w/ dining room overlooking private backyard, and much more! Finished walk-out basement renovated into an amazing extra large Rec Room with a stunning wet bar and additional non-conforming 5th bedroom. High efficiency pellet stove saves energy in winter! 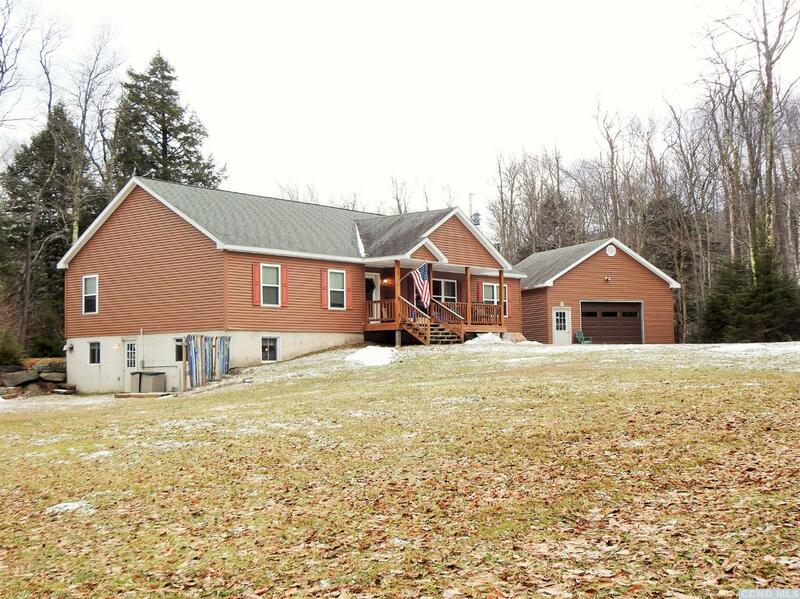 Walking distance to Roaring Kill and Trailhead hiking trails, and just a short drive to Hunter Mountain Ski Resort. Very special area which makes this a highly sought-after location for year-round rentals.